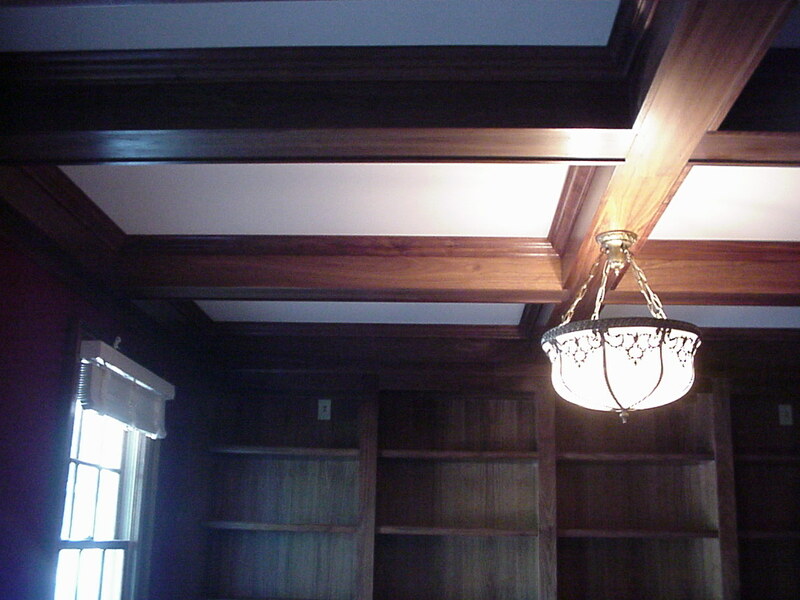 A few projects we have worked on were featured in Wood Digest. 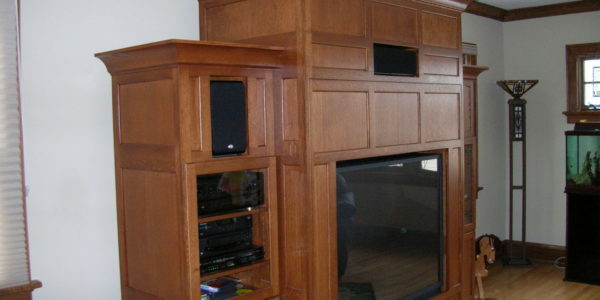 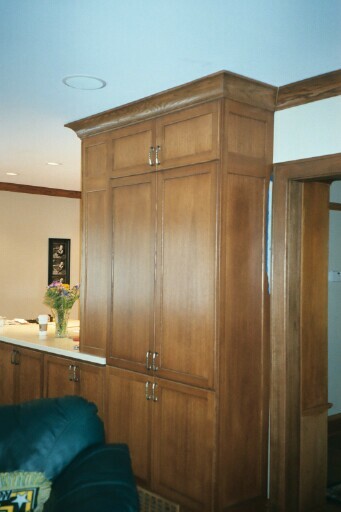 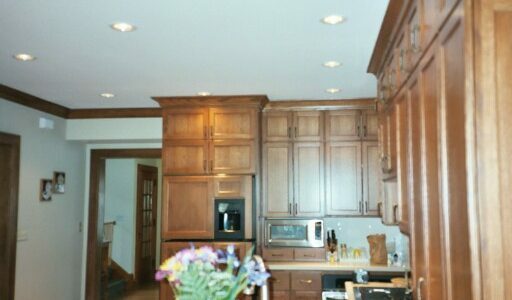 On both of these examples, I worked as a custom cabinet contractor for a local general contractor. 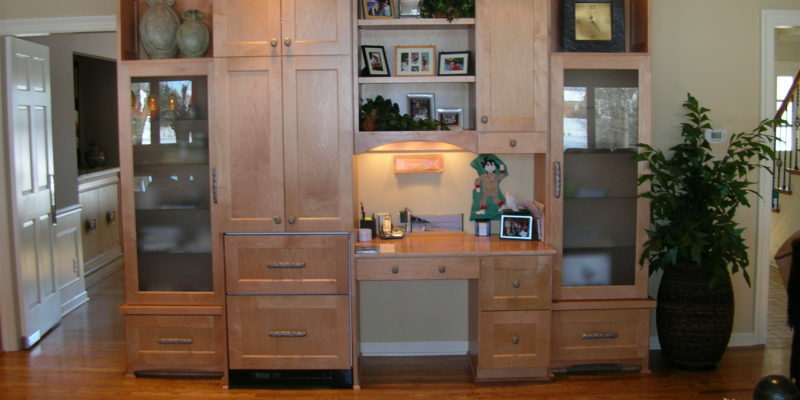 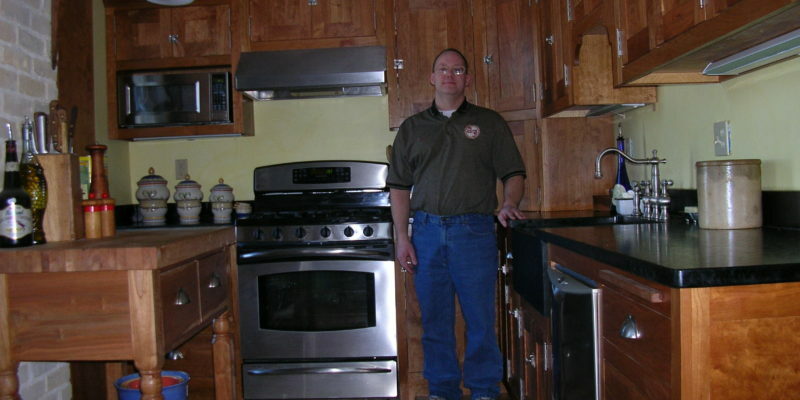 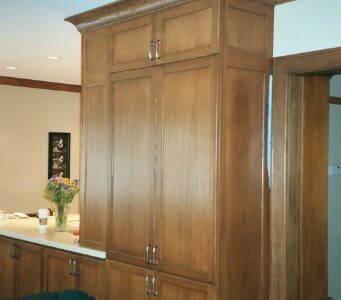 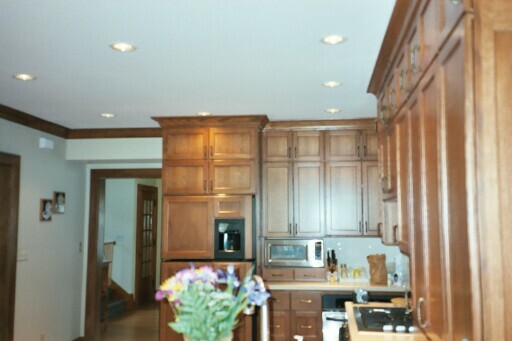 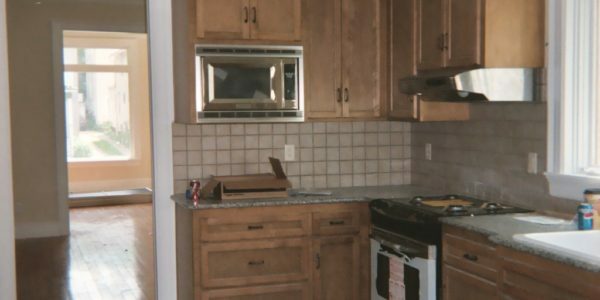 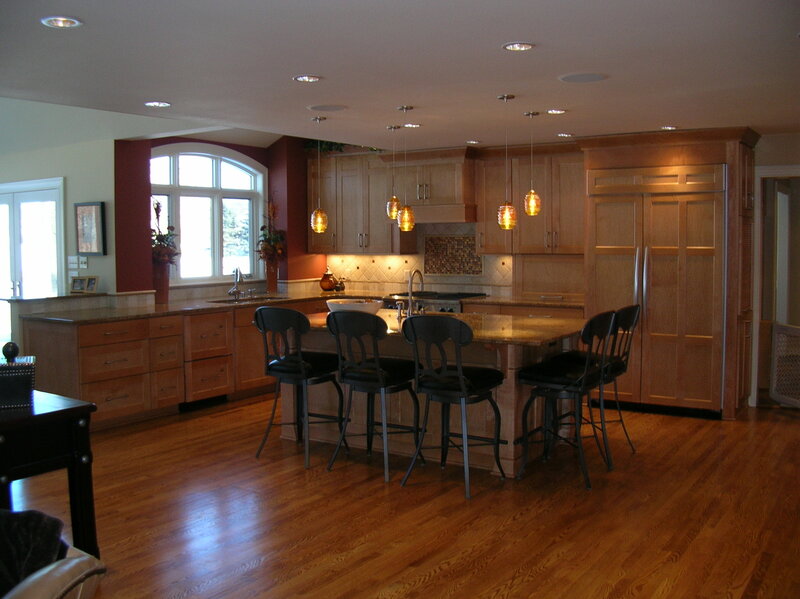 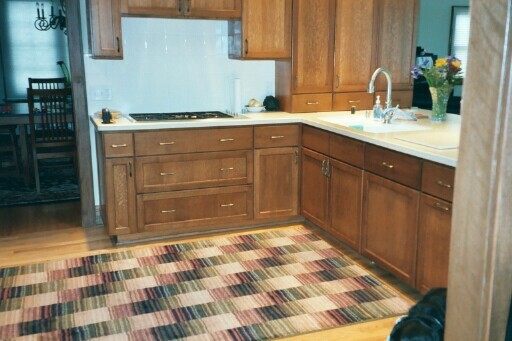 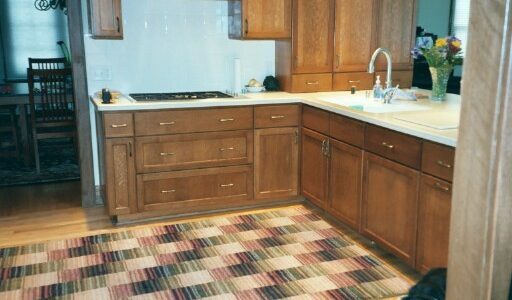 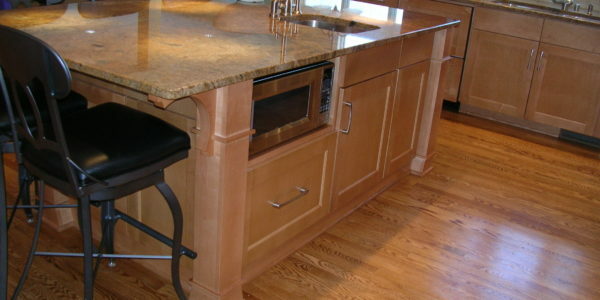 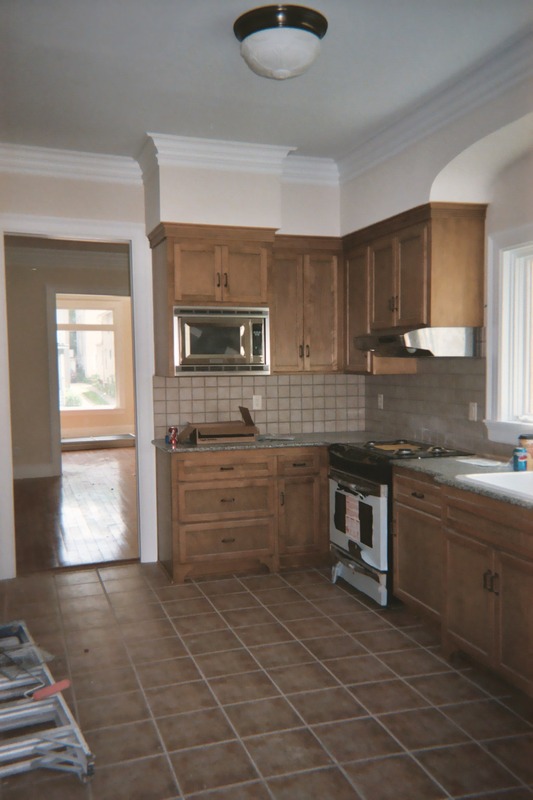 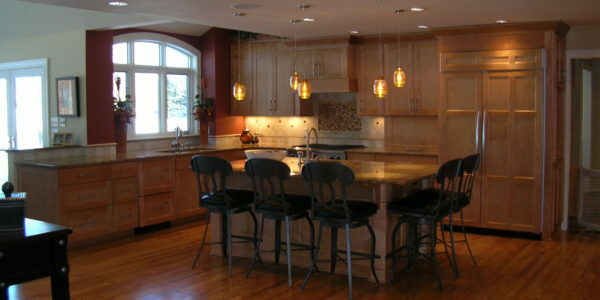 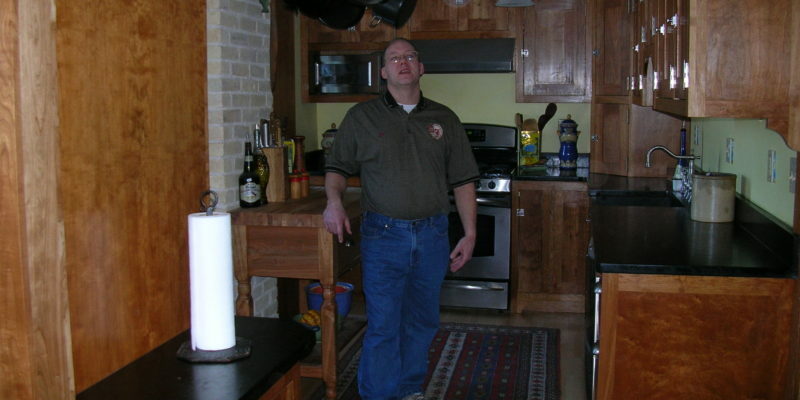 These are examples of two kitchens I created cabinets for. 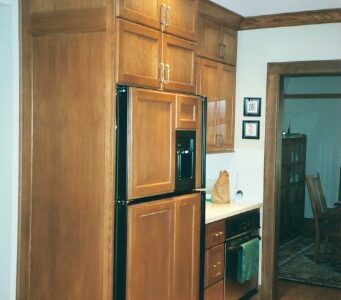 The first, the client wanted the kitchen to resemble an old farmhouse. 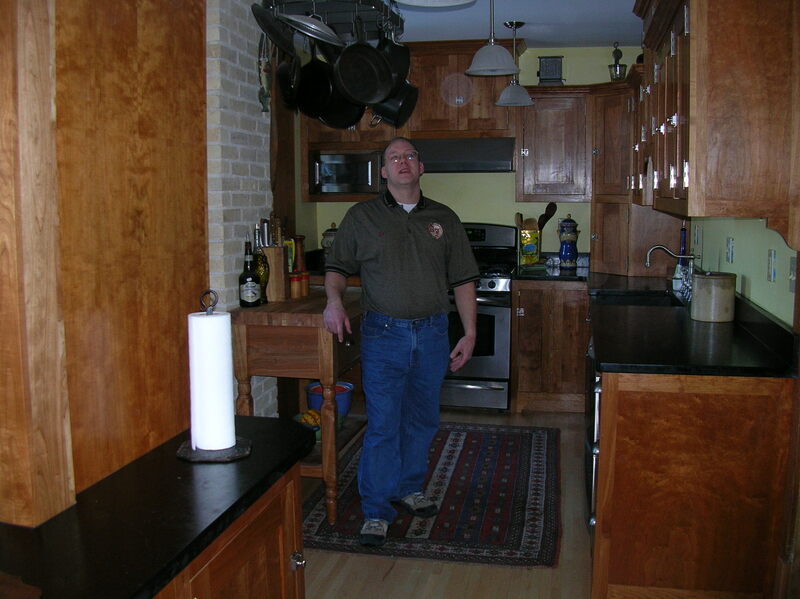 The cabinets were created out of cherry and combined with the brickwork to create the atmosphere of an old farmhouse kitchen. 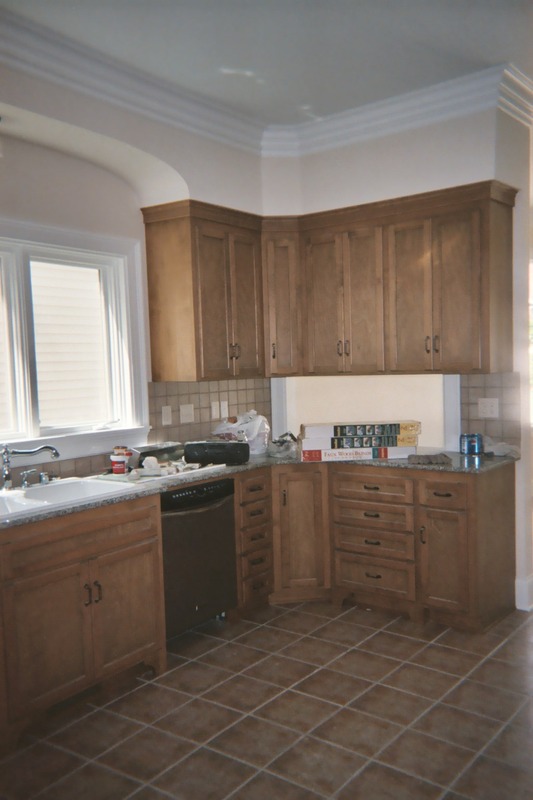 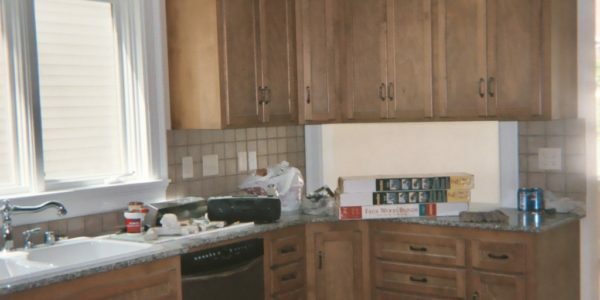 The second included a kitchen as well as custom cabinetry elsewhere in the house and was designed out of maple specifically for the house. 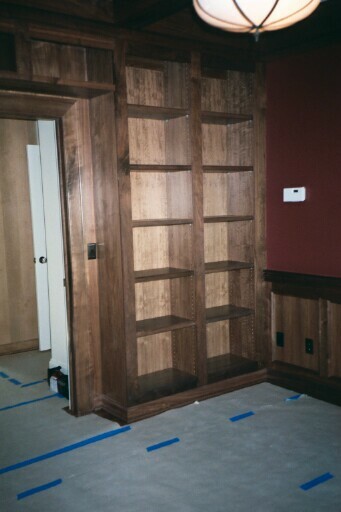 There was a full maple overlay with a custom finish. 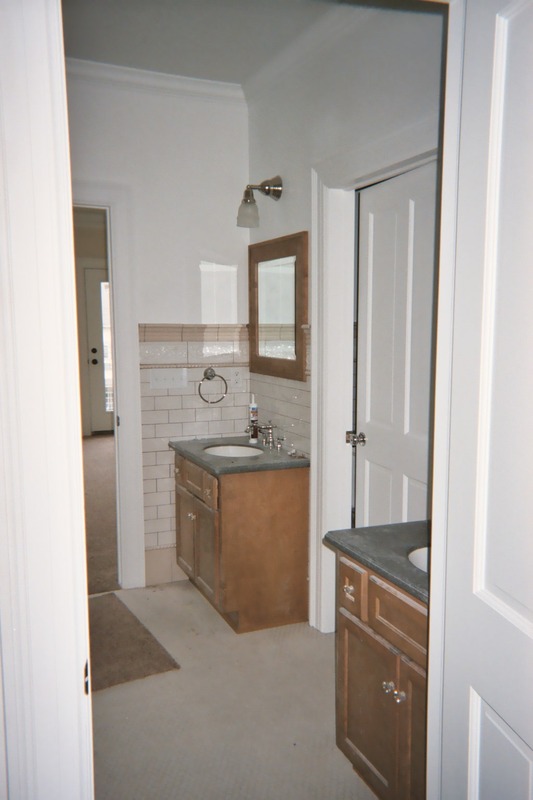 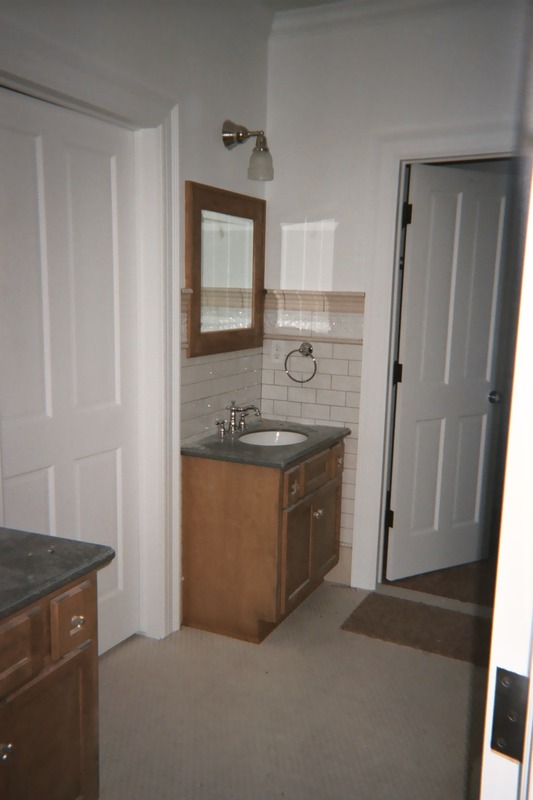 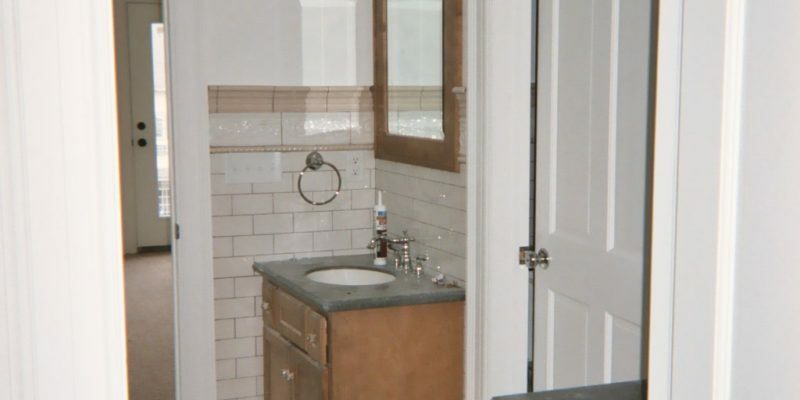 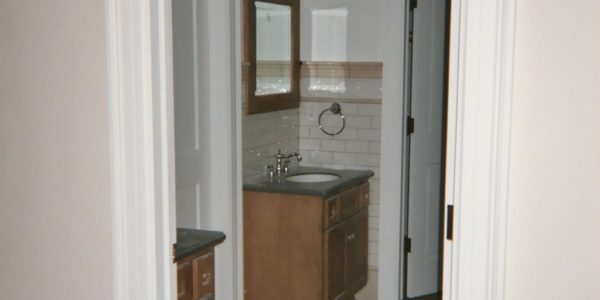 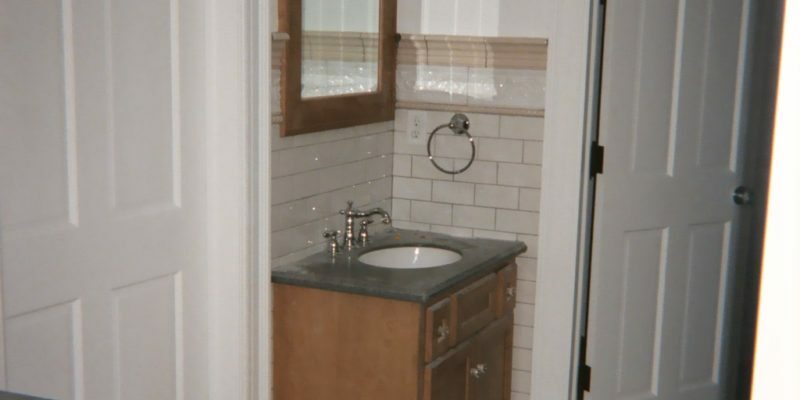 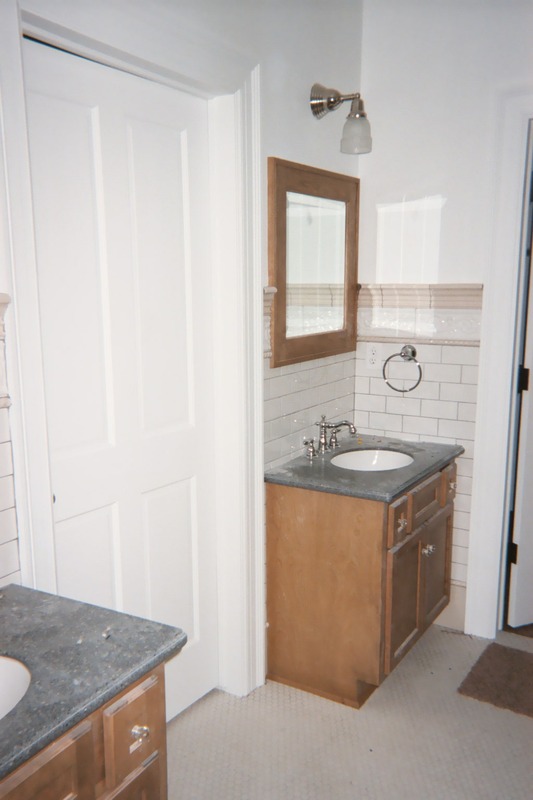 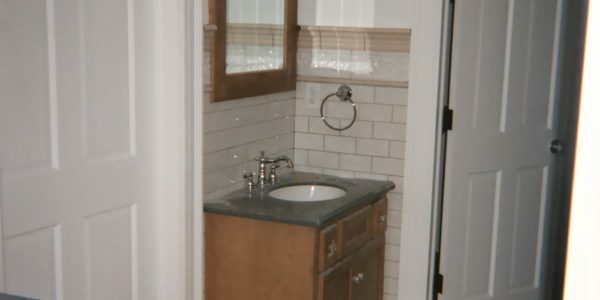 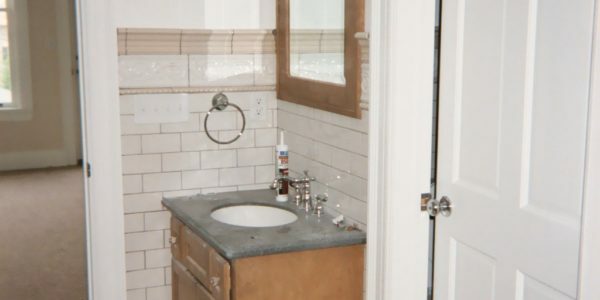 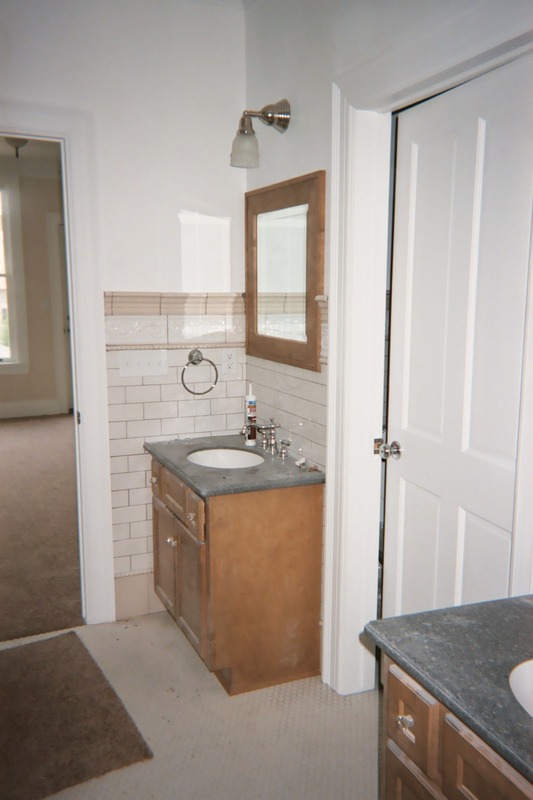 We created small bathroom vanities to match cabinet work in the kitchen and the rest of the house. 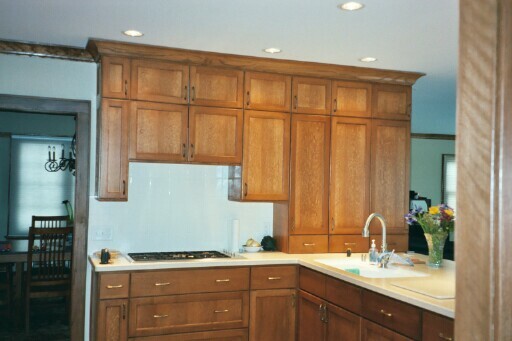 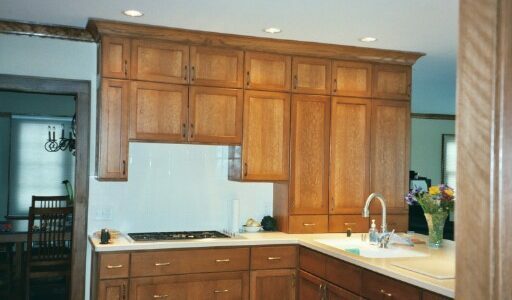 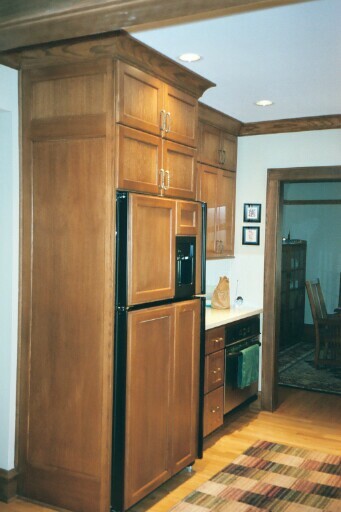 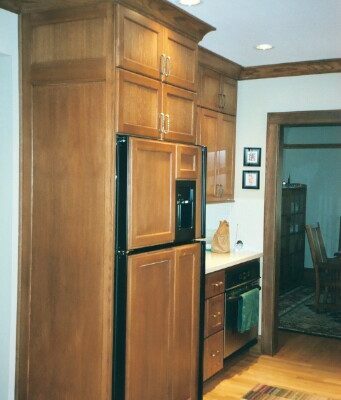 Maple cabinets that were stained to look like turn-of-the-century antiquing. 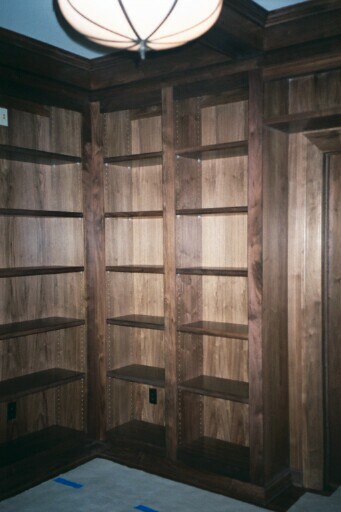 One of the features was furniture feet which we had to create. 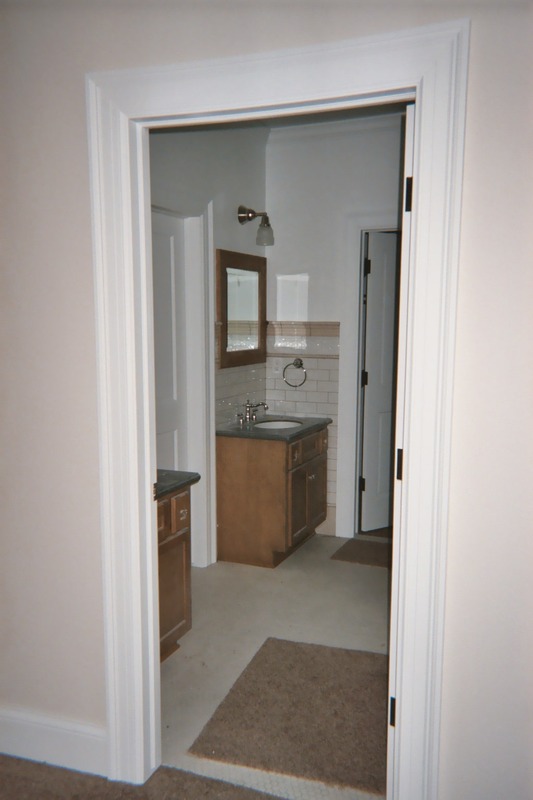 The client liked their existing cabinet work and we needed to created bathroom vanities to match. Two small bathrooms meant a small working space. 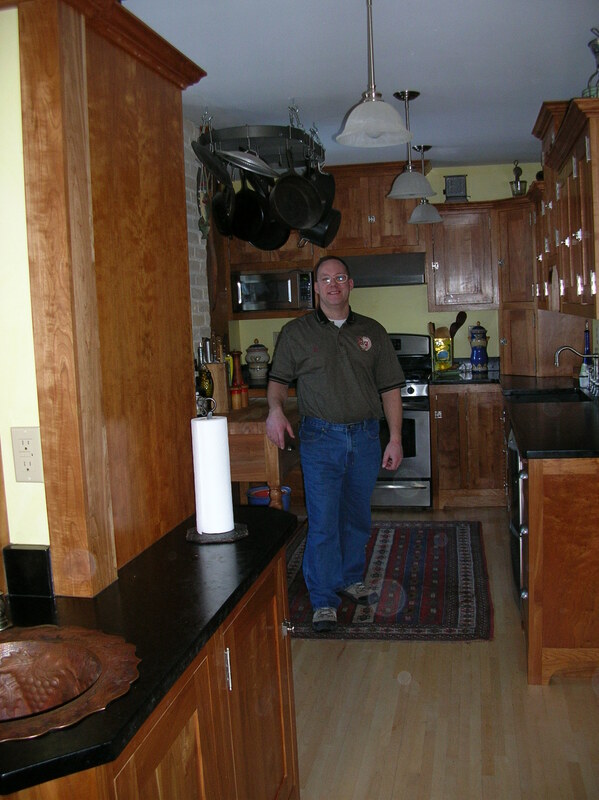 We also had to match materials from a previous construction and match grains and finishes to keep a consistent look and feel throughout the home. 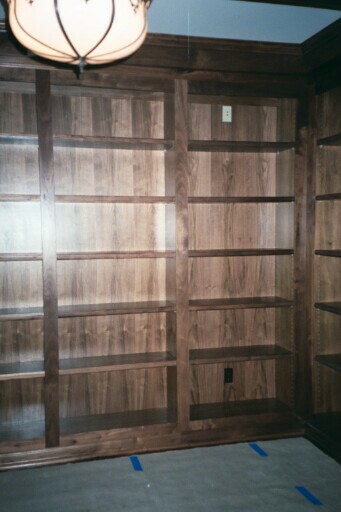 Wood library. 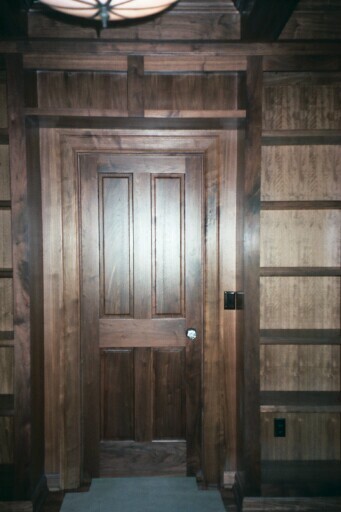 Walnut with clear finish. 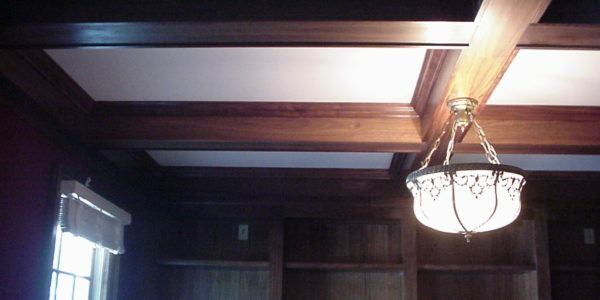 Designed and built, including the ceiling beams. 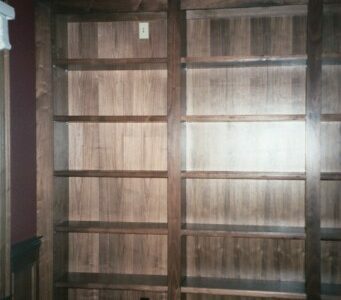 Turned an unused space in a home into a useful library. 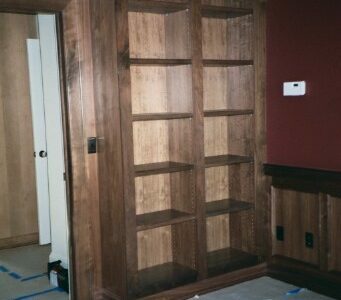 We built the library entirely out of walnut. 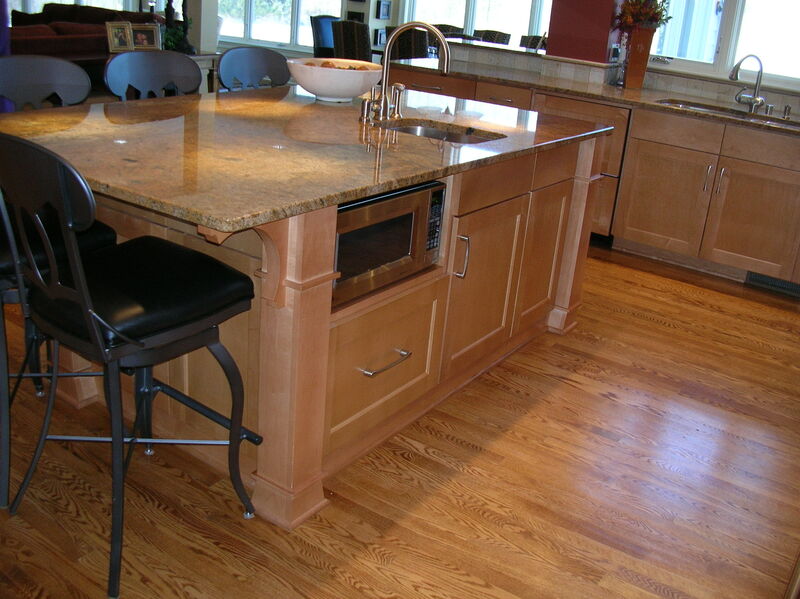 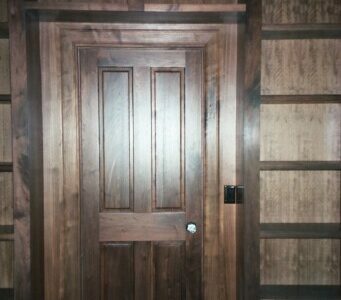 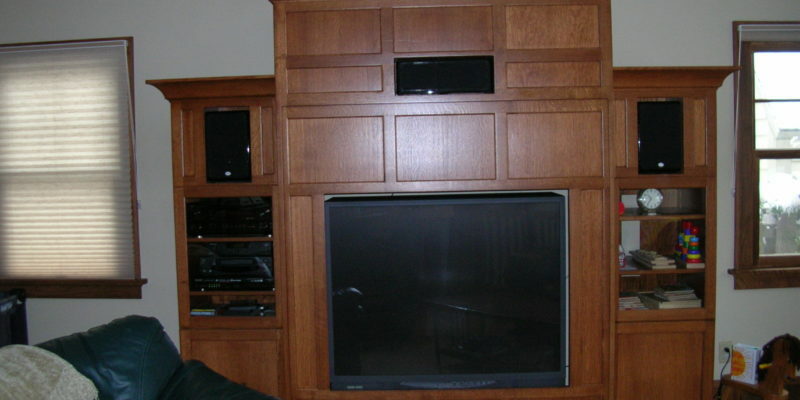 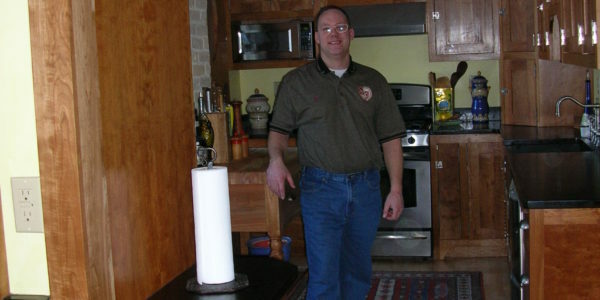 The wood was finished with a clear coat rather than a stain to preserve the natural beauty of the wood. 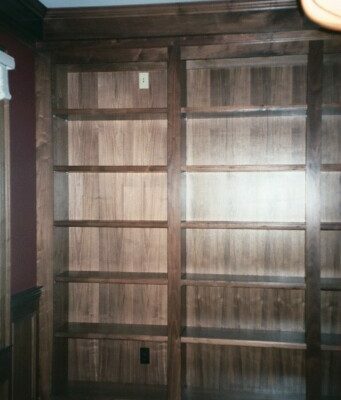 We built out the doors, accents and ceiling beams as well. 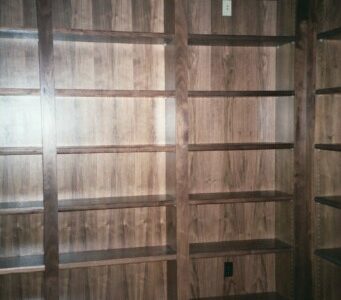 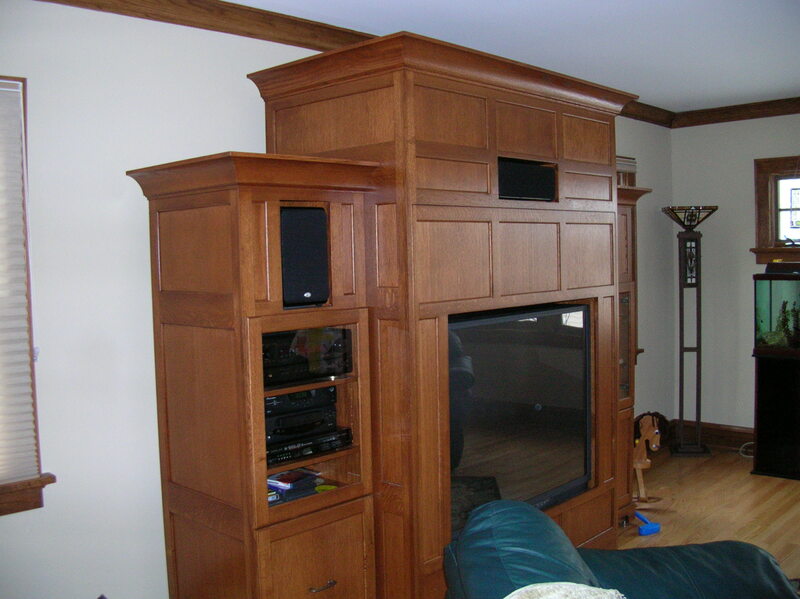 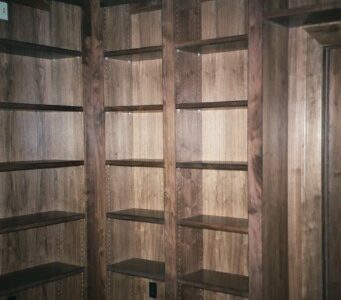 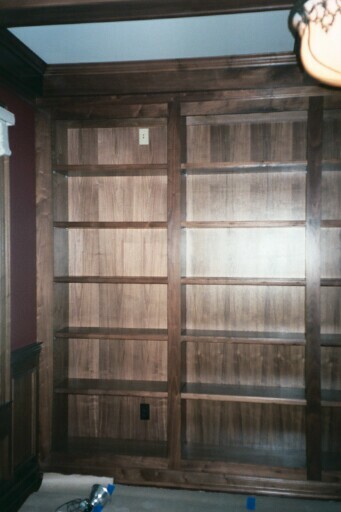 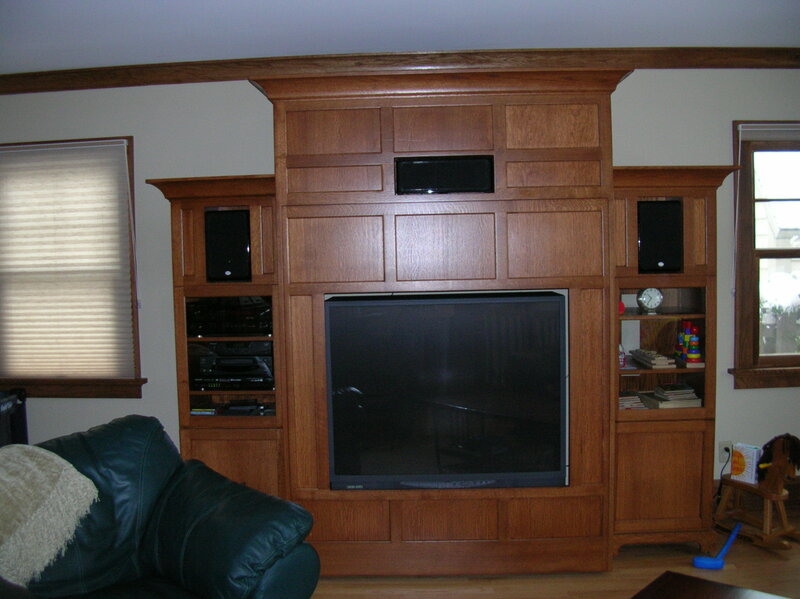 All pieces are solid wood with the exception of the partitions and back of the bookcase which are veneered plywood.